SanctionsAlert.com is constantly canvassing the industry for your news and views on sanctions and export controls compliance issues. Here are several audience polls we conducted during our live webinars. 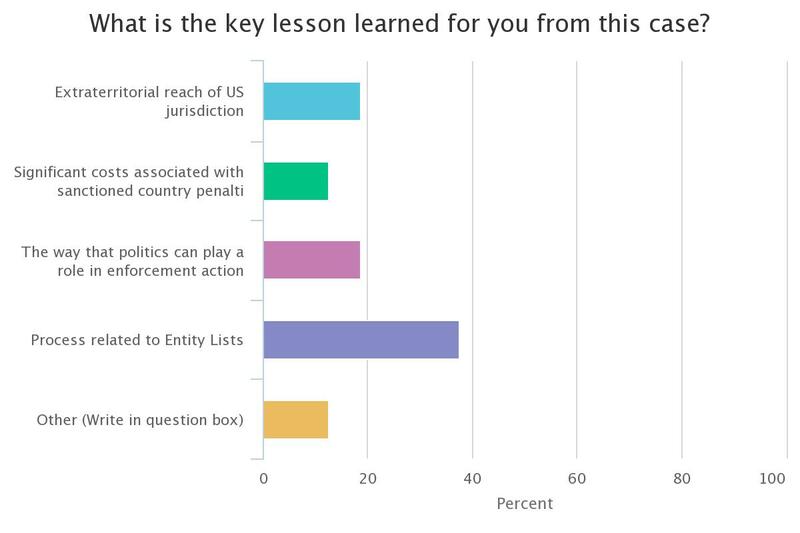 Audience Poll from SanctionsAlert.com Live Webinar “Lessons from the ZTE Case” held on January 25, 2018. 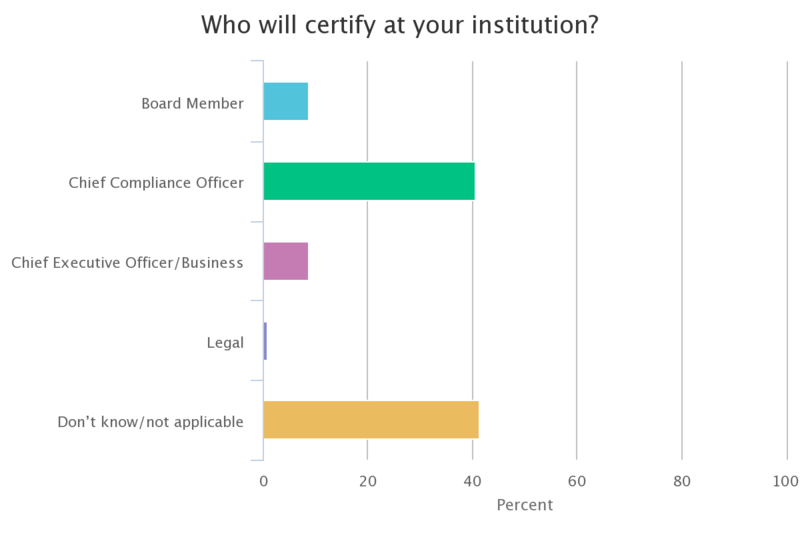 Audience Poll from SanctionsAlert.com Live Webinar ”Live Q&A with the Former Chief of New York’s Money Laundering Unit’s: NYDFS Part 504 Breakdown and Analysis” held on August 17, 2017. 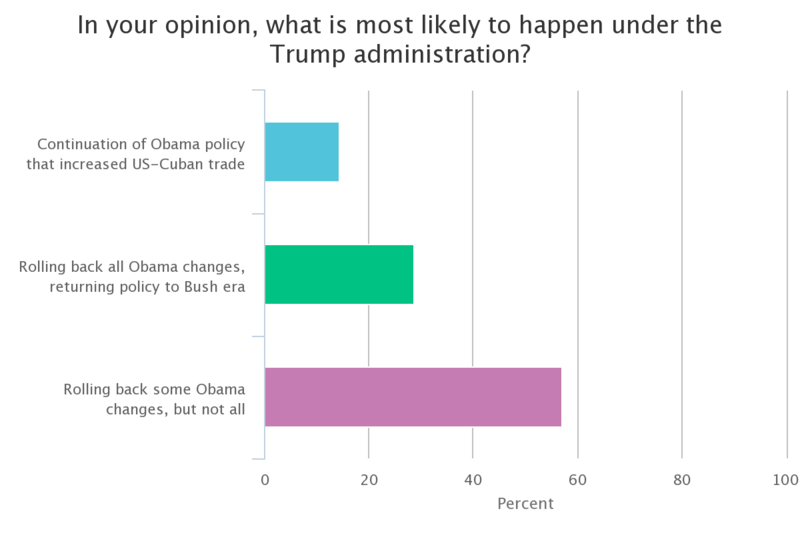 Audience Poll from SanctionsAlert.com Webinar “Critical Update on U.S. Sanctions Against Cuba” of February 9, 2017. 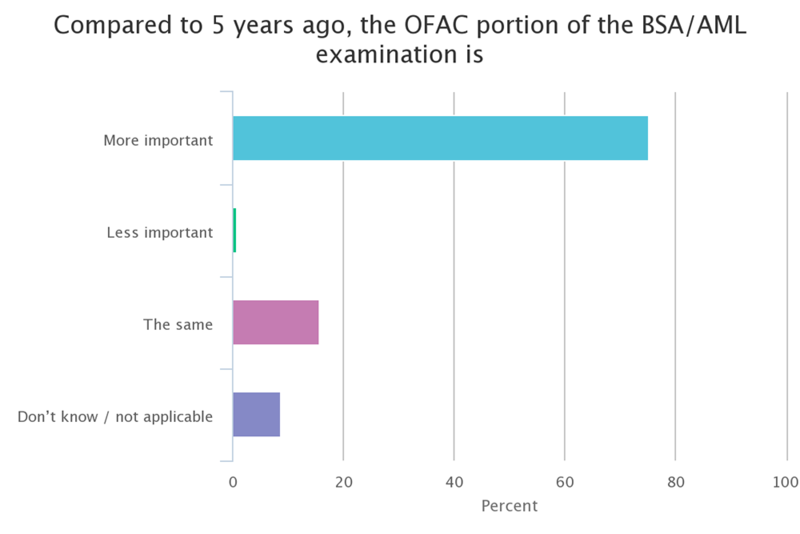 Audience Poll from SanctionsAlert.com Webinar “What Federal Bank Examiners Look for in their OFAC Compliance Examinations” of January 11, 2017.